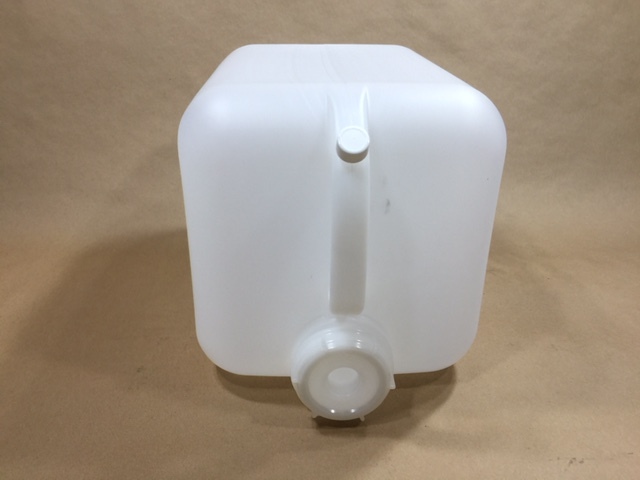 Our 5 gallon E-Tainer ® bottle/jug with graduation marks is constructed from sturdy natural colored high density polyethylene. It is translucent, with graduation marks at the 1, 2, 3 and 4 gallon levels allowing easy viewing of your liquid levels. It comes with an 70mm FS70 cap and an 18mm back vent with an 18mm cap. 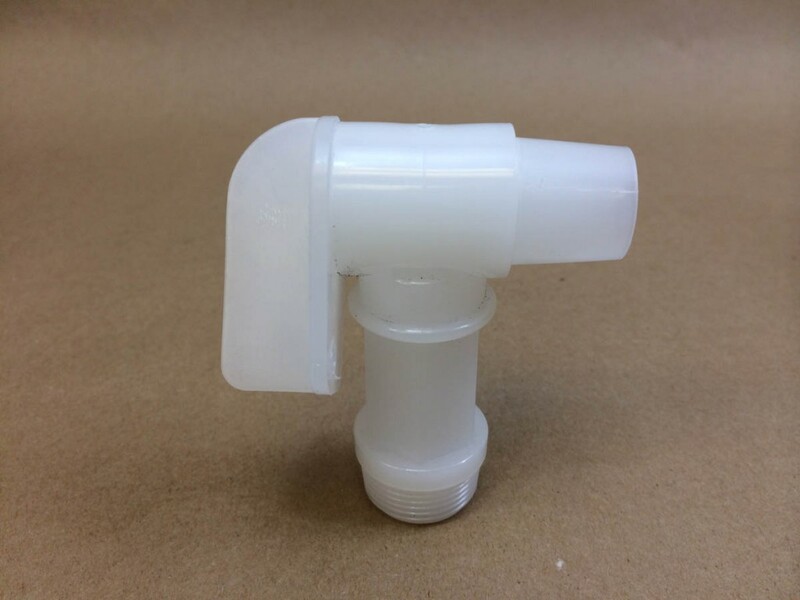 This relief vent allows for your product to flow smoothly while dispensing. The large 70mm cap makes it easy to fill and drain your product quickly. We sell a 3/4″ FloRite ® faucet (sold separately) that can be threaded into the center of the 70mm cap once the center reducer is taken out. This type of container would commonly be used for cleaning supplies, juice, water, shelf dispensers, dilution tanks, car wash supplies, slushie mixes and more. This container has no UN designation. We sell this same bottle in a UN4G box under item # ELW-EC1970NTNA-1A. As always, compatibility of your product with the container is the responsibility of the shipper. Please call for a sample for testing with your product.